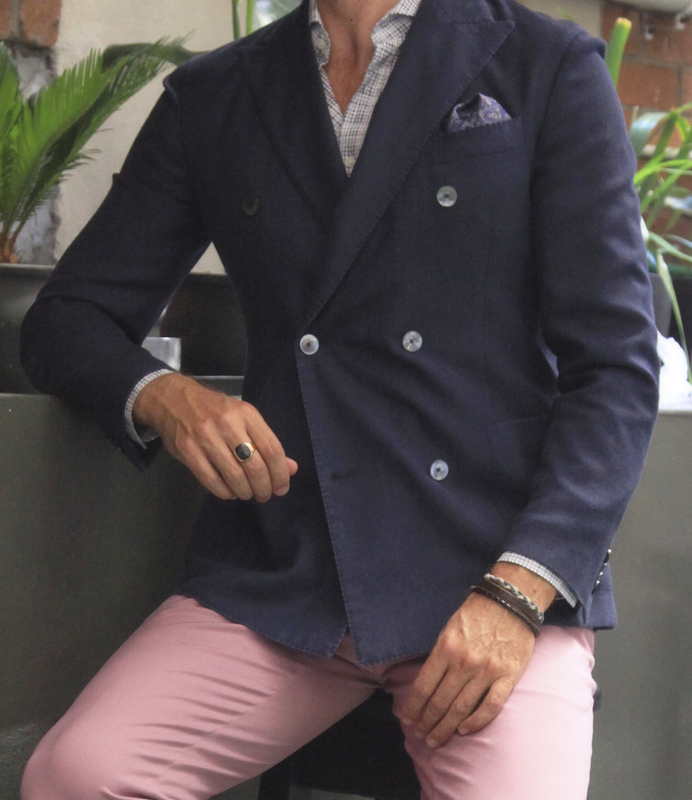 Double breasted Lardini navy blazer is a classic Italian staple, beautifully teamed up with Faconnable blush chinos and multi coloured check shirt, Harrolds silk pocket square and Prada antique finished loafers. Take this ensemble for a spin with the top down or out to lunch this weekend! 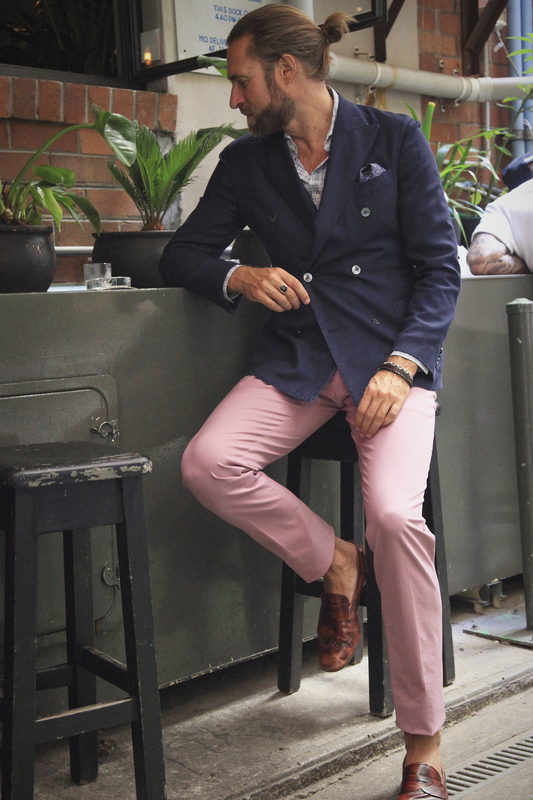 Tip: washed lime green chinos were a close second to the blush and look really fresh together.